They were rebuked Wednesday by a judge, who said their regrets were not grounds for them to renege on an agreement reached weeks ago. The story broke two years ago while Michael Mastromarino was the owner of Biomedical Tissue Services. He was accused of furtively hacking up corpses obtained from funeral homes in the Northeast - including that of Alistair Cooke, the British-born host of "Masterpiece Theatre." Mastromarino, 44, is charged with stealing body parts from more than 1,200 corpses and then selling them for millions of dollars in the transplant market, reports the New York Daily News. Dismissing arguments by prosecutors that they weren't aware of the psychological and emotional damage suffered by relatives of the deceased who were violated, Brooklyn Supreme Court Judge Albert Tomei said the plea deal with Mastromarino must stand, particularly since he has already cooperated with prosecutors, reports Newsday. The judge's order means Michael Mastromarino will go to prison for 18 to 54 years for his ghoulish crimes - possibly putting him behind bars for the rest of his life. "Mr. Mastromarino may never see the light of day," said Judge Tomei, whose words brought Mastromarino's mother to tears. "With the abundance of evidence and the number of victims that were violated, and with their families expressing their preference for a trial, we thought justice and the public would be better served if we went to trial," the statement said. Mastromarino's lawyer, Mario Galluci, called the prosecution's arguments for withdrawing the plea agreement "ridiculous." The judge called the prosecution's reasons "specious" and said they had "no substance." "I'm not here to have show trials," Tomei said. There will be at least one trial, however. Chris Aldorasi, who was implicated in cutting up the bodies but has denied wrongdoing, has refused to plead guilty and take any offer that includes time behind bars. 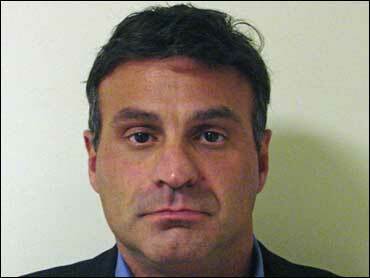 Aldorasi will face trial beginning Monday, when Mastromarino is to enter his plea. Mastromarino and Aldorasi, both in court Wednesday, face charges of enterprise corruption, body stealing, opening graves, unlawful dissection and forgery. Also charged in the scheme, which Mastromarino is accused of masterminding, was a Brooklyn mortician named Joseph Nicelli and another cutter, Lee Cruceta. Cruceta has pleaded guilty and will testify against Aldorasi. Mastromarino will not testify against Aldorasi, his lawyer said. Nicelli, who suffered a head injury, has been removed from the case until he recovers. He has been granted a separate trial. Mastromarino's plea will bring at least part of the scandal to an end. Those companies face about 900 civil lawsuits from people who received the tissue in transplants and from the families of loved ones who had their body parts taken without permission. Mastromarino has already cooperated with prosecutors, and once he pleads guilty he could be deposed in the civil cases. Larry Cohan, a Philadelphia lawyer who is part of a team representing more than 800 people in those lawsuits, said he would seek to depose Mastromarino. A federal judge "has ordered limited discovery on what the processors knew or should have known about Mastromarino's conduct," Cohan said. "His testimony will be directly related to that discovery. And we will seek to obtain it as soon as possible."